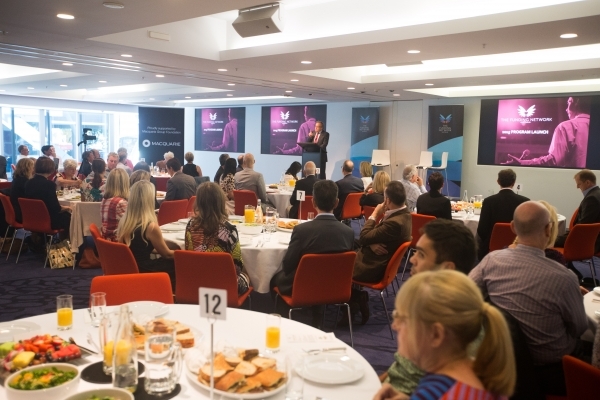 The Funding Network Australia marked the completion of an extraordinary first year (and the beginning of a hotly anticipated schedule for 2015) with a lunch gathering on Friday March 6 hosted by founding partner, the Macquarie Group Foundation. Renowned social researcher and best-selling author Hugh Mackay AO delivered the keynote address on the importance of strong integrated communities, a subject central to The Funding Network's mission to help shape the knowledge, attitudes and practices of a new generation of givers and to be a starting point for lifelong community engagement. Our CEO and Co-founder Lisa Cotton also addressed the audience, sharing the results of our first year, which flip the cliché that philanthropy is the preserve of the wealthy. Over 1,000 people pooled more than $1.1m in funding and in-kind resources to support 36 grassroots non-profit organisations in Perth, Melbourne and Sydney. Notable alumni include Gunawirra, an organisation tackling trans-generational trauma through programs for Aboriginal children aged 0-5 and their parents in NSW. CEO Norma Tracey spoke about the impact of receiving more than $33,650 and substantial in-kind support at a TFN collective-giving event in Sydney in June 2014, followed by a further pledge of $50,000 after the event and strong prospects for substantive collaborations over the longer term. Highlighting the experience of the non-profit organisations, Tracey testified to the power of our model – which begins with a pitch-training scholarship designed to sharpen their presentation before the event, and continues well beyond the collective pledging session via direct connections between guests and presenters, facilitated by TFN and often leading to future support and funding opportunities. 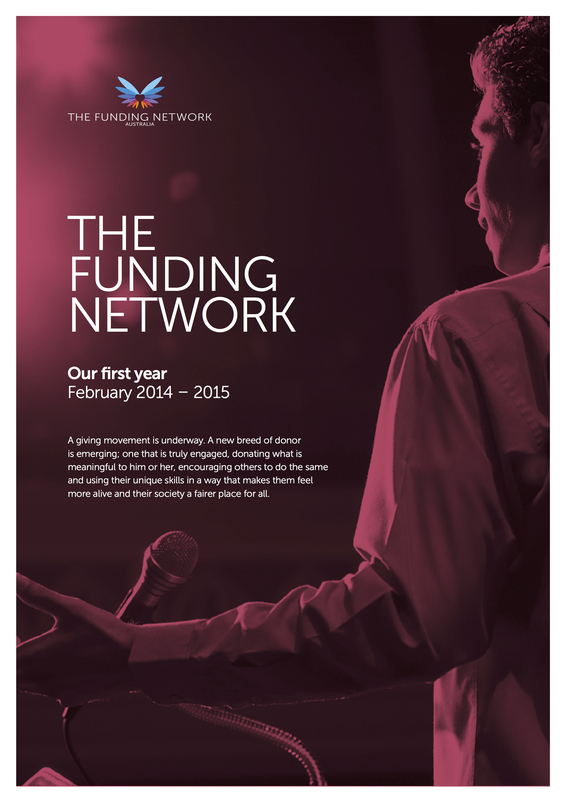 Asserting her belief that Australia has ample resources and talented people whose desire to connect for a greater good has yet to be fully galvanized, Lisa Cotton articulated The Funding Network’s broader ambitions for a new movement of engaged givers and stronger, more capable social leaders.